Today we met Stretchy Snake. Stretchy Snake is one of the Beanie Baby Decoding Strategies. He helps us to s-t-r-e-t-ch out our sounds and then blend them back together. We have been working on sound boxes during Word Study time and today we made our sound boxes for the learning rug. For some reason, they LOVE watching you do this. We then practice stretching out cvc words as we hop into the sound boxes. This is great for your kinesthetic learners (plus those kiddos who can never sit still like to use ALL of the energy God gives them (hahaha). This is hard for some kiddos who want to put all the sounds in one box but they soon realize they have to hop one sound for each box. They then hop "out" of the boxes and say the word. 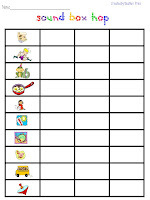 Later, after lots and lots of practice, this activity will be one they can choose from during Word Study centers. They even come and use the sound boxes during Writing Workshop. Later on in the year, we will add another box when we do words with blends. When you do sounds like sh or ck, those are 2 letters working together to make one sound so you only hop into one box for that sound. ﻿I hope your kiddos are happy to hop! I love heart notes because they encourage me to share more so please one! I would LOVE for you to follow me too! Love the kinesthetic idea! I have 14 boys so they'll love this. Super cute! What a great way to be up and moving! I pinned this! Great idea, love it. 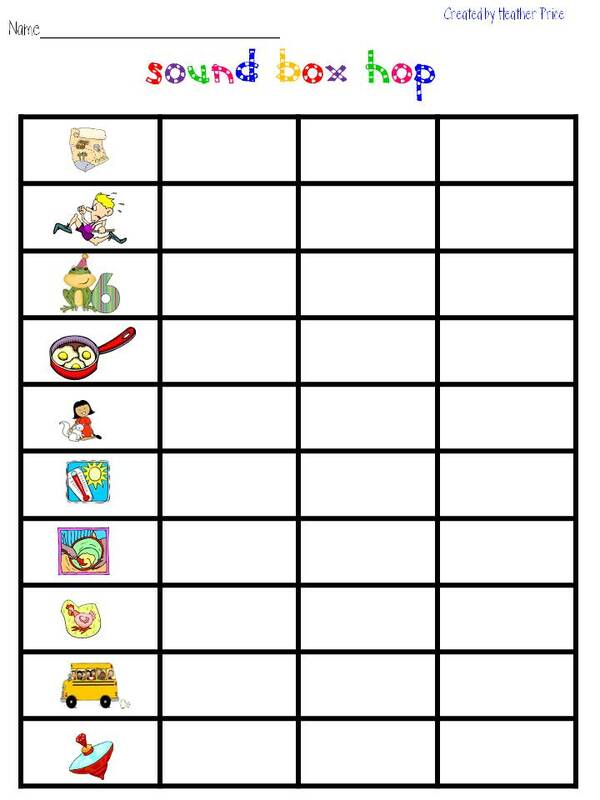 Thanks for sharing the printable! Excellent idea! I just posted about this on my blog... my kids are LOVING it! Thank you so much for this fantastic literacy center!